Its 12.5 acres of avenues, woods and ponds much of which was laid out in the 1860's, is home to wild life and many breeds of ducks and birds. It is owned and managed by the local community and offered as a place of peace and tranquillity to local residents, guests and visitors to the area. The history of the Wild Garden is closely tied to that of Shipton Court although some of the details of its origins are still not clear. 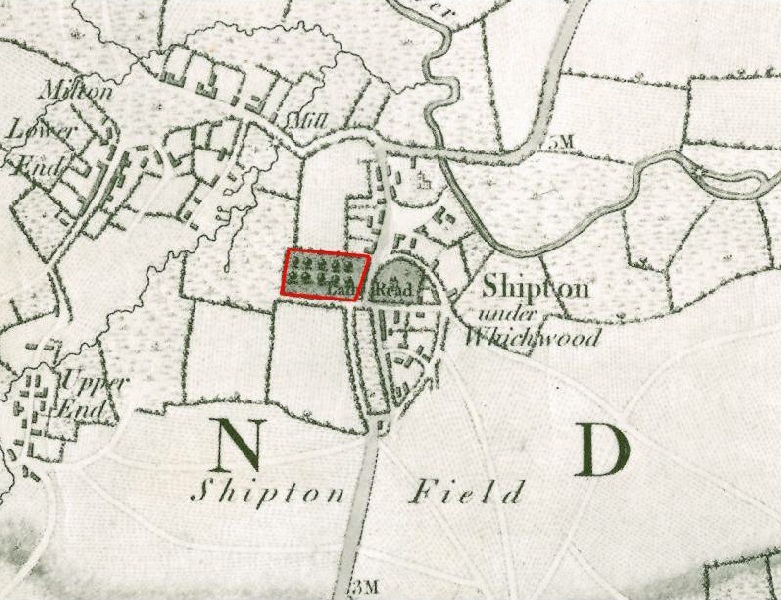 Shipton Court was built around 1603 for the Lacey family and we know that a survey of Shipton Manor conducted for the Lacey Family in 1617 refers to the Dog Kennels and a Bowling Green in the area. In 1773 Sir John Reade’s will instructed his wife not to cut down the Avenue, so this must have been of some substance by that time. 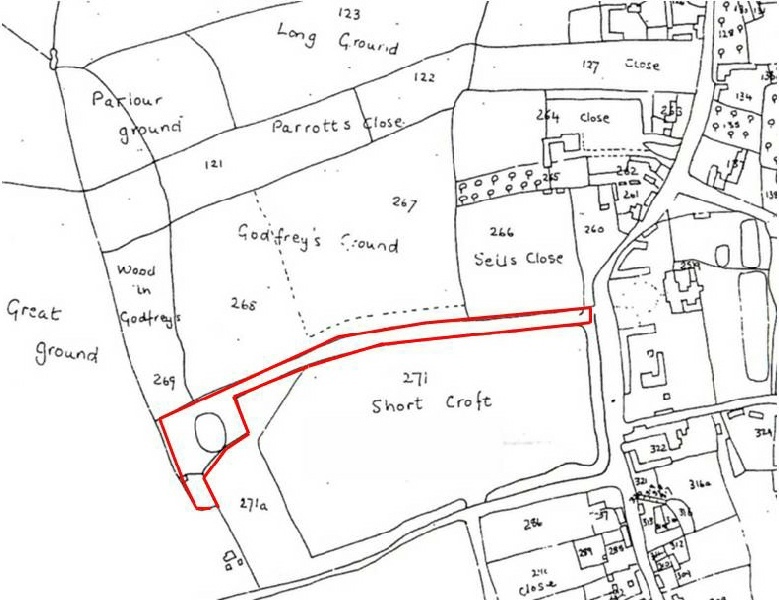 The area was first shown on the County Map drawn up in 1797, at that time just the Avenue existed. Although this map has serious inaccuracies on it, clearly the Avenue was already a key feature by then. 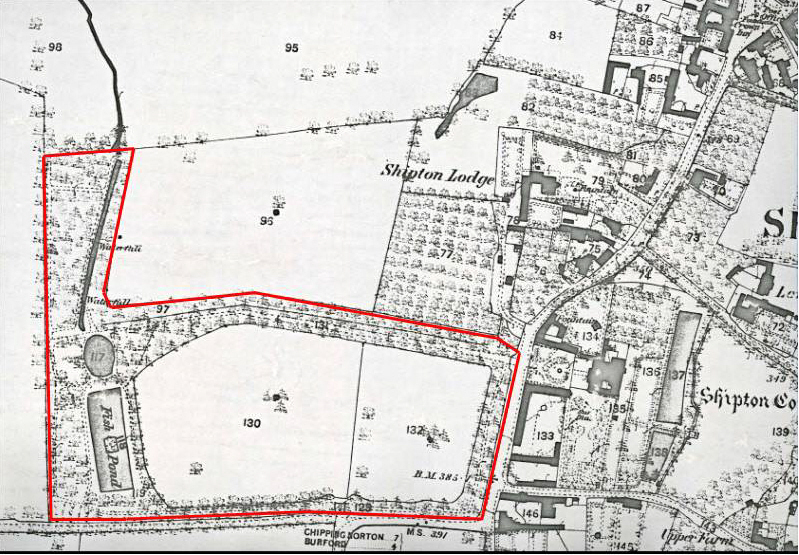 A tithe map of 1839 shows a pond and some paths, as well as the original dog kennels in the south west corner which give Dog Kennel Lane its name. At that stage the surrounding fields were still to pasture and there is no evidence of the additional ponds. The Wild Garden in its present form, was probably laid out in around 1860 as a pleasure garden adjoining Shipton Court, with a network of pathways both around the garden and around what is now the cricket ground. The stream was realigned, the Upper Pond created and the Canals and waterfalls installed. Certainly by the 1881 Ordnance survey map the main features are now present. A further expansion of the Wild Garden took place probably after the First World War with the addition of general woodlands to the north and south of the Avenue. These expansions and the full path network is clearly shown on the 1921 Ordnance Survey map of the area. The final change was the development of Cricket Pitch and subsequently the building of Tall Trees. 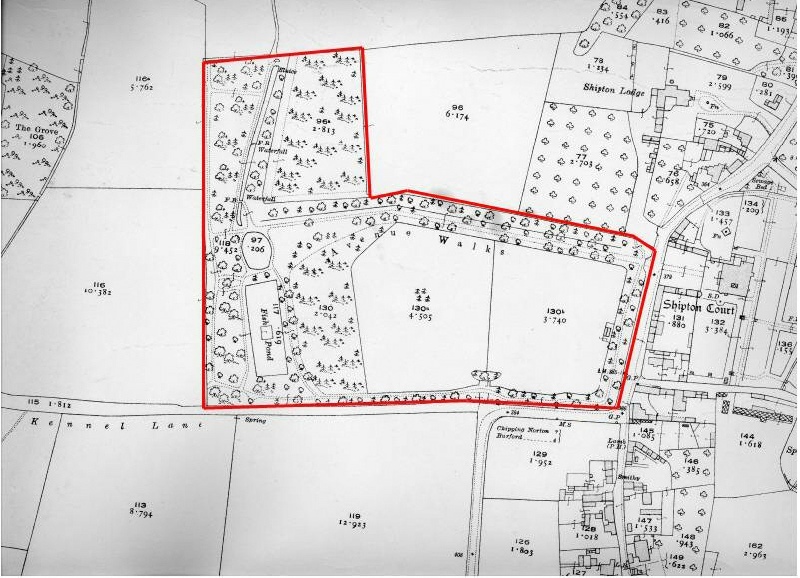 This resulted in the Wild Garden boundaries of today, the long circular walk was lost but the trees that mark this are still visible and also gave Tall Trees its name. In more recent times the Garden was sold off from the Court and has been in separate ownership since 1948. While some restoration work was carried out, the Wild Garden was managed as general woodland, with some 2000 trees having been planted in the last 30 years. The opportunity to acquire the Wild Garden was offered to the community in 2009 and after an intensive period of fund raising the Wild Garden was acquired in July 2010. The Garden was opened to the public in November 2010 after essential restoration work was carried out. Wychwood Wild Garden was acquired by the community in 2010 with the assistance of The Cotswold Conservation Board Sustainable Development Fund, The Doris Field Trust and HDH Wills Trust. 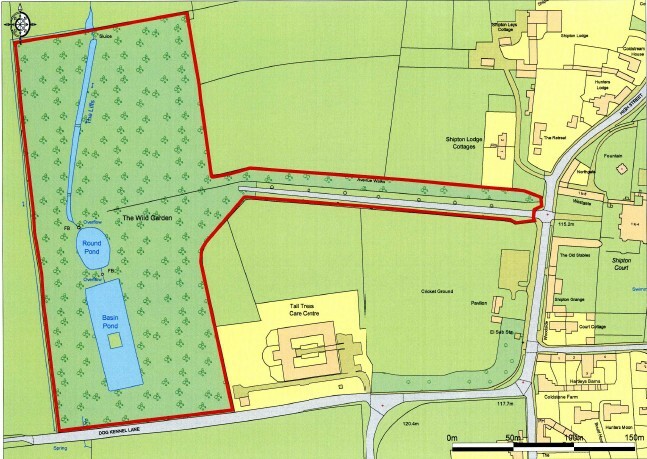 Shipton-under-Wychwood Wild Garden and Woods is a company limited by guarantee and a registered charity No.1133334. The key aims of the company are to provide public access to the Wild Garden, to maintain and conserve its environment and to provide valuable educational resources.